Our Option Profit Accelerator review found a complete FREE guide to trading options by one of the best real money options traders in the world – Jeff Bishop. You can download the Option Profit Accelerator PDF and learn from one of the best option traders in the world! 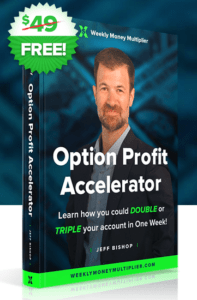 We wrote this Option Profit Accelerator review so that people are aware that they can get the free eBook written by Jeff Bishop and learn some of his option trading strategies that he has used to make millions of dollars trading options over two decades. Disclosure: Please note that some of the links on this page are affiliate links. This means that we may earn a commission, at no cost to you, if you decide to make a purchase after clicking through the link. Please understand that we have experience with these companies, and we recommend them because they are helpful and useful, not because of the small commissions that we may receive if you decide to buy something through our links. If you are in a hurry, you can instantly download the FREE eBook and get started with your new options trading education! 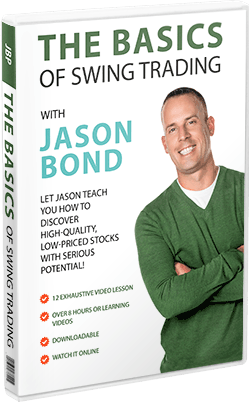 This free eBook is offered by an options trader named Jeff Bishop. Not much is known about Jeff except that he claims to be a multi-millionaire stock and options trader. He is the founder of RagingBull.com, a large platform of stock trading educational resources, stock alerts services and mentoring programs. Jeff Bishop seems to be very transparent in his Weekly Money Multiplier service and there is no reason to doubt he is making the trades that he says he is. He often live streams his trading account live for full transparency. My initial impression from the cover of the eBook where it says ‘Learn how you could DOUBLE or TRIPLE your account in One Week’ is that it is very salesy. There is a good chance that you could make a few trades where you do double your account or more in a week, but the reality is you will also lose money. This is typical salesy hype that many of these stock trading services and educators use though. There is no doubt that Jeff Bishop is using the Option Profit Accelerator book as a valuable free giveaway lead generator. It is free marketing for him and his Weekly Money Multiplier alerts service. The Option Profit Accelerator PDF starts with an introduction into why options are such powerful financial vehicles. Jeff makes the case that derivatives have been traded for years and are a key part of the financial system. A derivative is just an asset that’s value depends on something else. So in the case of Options contracts, the underlying stock of the company dictates the value of the option. Leverage. You can control a large investment with a relatively small amount of capital with options. This opens up the potential for huge percentage gains. But it is a double edged sword as you can also take a large loss. Hedging your bets. You can hedge your bets with options in the underlying stock. So for example if you are long the stock you might want to use an options contract that will be ‘in the money’ if you are wrong about the price direction with the stock. This can give you some great protection but it is not a beginner strategy. What can you learn from the Option Profit Accelerator book? Options Explained. This is a great summary of everything you need to know about trading options. It covers Time Value, Volatility, Interest rates and dividends. It dives into the relationship between puts and calls (Put-Call Parity). While interesting, this is all information that you can find in other free places online. Jeff does a good job of explaining the basics (which can be intimidating due to all the lingo). Ways to Trade Options. Jeff discusses directional trading with options. He talks about writing options and hedging your bets with an options trading strategy. He discusses how to trade volatility and interpreting implied volatility. Complicated stuff! Most of this section of the Option Profit Accelerator PDF is about implied volatility – this is extremely dry reading in my opinion, but I know that it is important to understand. How to Capture 100% Profits on Small Moves in Stocks. This is the meat of the Option Profit Accelerator book in my opinion. Jeff Bishop introduces his ‘money pattern’ and gives some examples of his option trades. He explains exactly how he makes 50% to 100% profits using this strategy! Be sure to download the Option Profit Accelerator book and make sure that you read this section and the bonus section to fully understand Jeff’s options trading strategies. The Bonus Section: Jeff Reveals his Money Pattern Options Trading Strategy! If you already know the basics about options trading, this bonus section will be the only part of the Option Profit Accelerator book that is new to you. This section is hugely valuable! 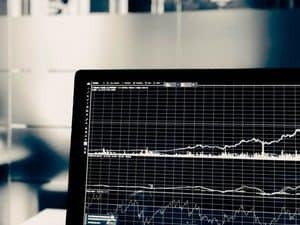 It explains exactly how Jeff Bishop predicts the direction of a stock and buys the best option contract to profit from it. His strategy for directional trading is really simple but highly effective. If you prefer to learn via a video format – check out Jeff’s FREE WEBINAR and online training all about his Money Pattern. Jeff discusses his 13/30 hourly cross over strategy in great detail and shows dozens of examples of his strategy working! I suggest printing out the Option Profit Accelerator PDF and reading this bonus section over and over again. Take notes. Study the example charts. Do whatever it takes to absorb this crucial section of the eBook. Jeff Bishop is one of those experienced traders that really knows how to trade stocks and options. I hope that this Option Profit Accelerator review has inspired you to download this awesome free eBook and learn some of his options trading strategies. 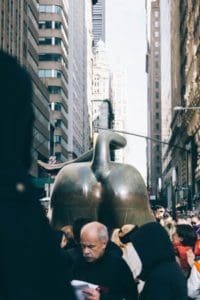 I have been told by the guys at RagingBull.com that the Option Profit Accelerator book is extremely popular and I know that I really gained a lot of value from it. Make sure that you grab your FREE copy of there Option Profit Accelerator book in PDF and learn some of Jeff’s secrets. I hope that this Option Profit Accelerator review has persuaded you to download the Option Profit Accelerator book and learn from the advice inside! The Option Profit Accelerator PDF is crammed full of advice from Jeff Bishop, and I highly recommend it if you are looking for some free mentoring in options trading. The Option Profit Accelerator book is a great resource by Jeff Bishop. It provides a valuable insight into this millionaire option traders strategy. Highly recommended!